Rated 5 out of 5 by rpggramma from Enjoyed this one. Everything was great; too many HOs, but I like this one such that the HOs didn't get on my nerves as bad! No map and a lot of moving back and forth, but that was OK, as well. Only one thing bothered me and that was the fact that the some instructions on the puzzles were hard to understand. Some of them are harder than the puzzles. They may leave you baffled. Instead of an explanation, you get drawings and if you don't understand them, TOUGH!! NO SKIP! Other than that, it was fun! Take a leap. Rated 5 out of 5 by dragoncat453 from Took me hours! I've never played a game from these developers and I was very impressed. The graphics were detailed and excellent and the music, which often is a distraction and repetitive in most games, was interesting and atmospheric. The story was not particularly new but that didn't matter. I played at the advanced level which meant there was little help apart from the hint button. The game could have used a map as there was a lot of back and forth but that was really my only complaint. As you go along you collect masks--I didn't get near the total number and I went back to look so that was tough. I wonder if there are more in the Collector's Edition. What I really love were the mini puzzles. Every one seemed fresh and there were a series of little theater pieces that advanced the story while playing "seek and find". Very clever. At the advanced level there were virtually no instructions for puzzles, just diagrams, which added to the challenge. This one was great and I recommend it! Rated 5 out of 5 by catdroid from GREAT...WONDERFUL...TERRIFIC I loved everything about this game and have played it several times. It's a long game with loads to do. The best kind of HOPA. You are a teacher searching for your missing student and the adventure takes you to many locations. The hint button gives you enough hints to point the way if you're stuck. Great graphics, mood enhancing music and the right balance of found objects, HO'S and puzzles. No negatives here !! Play and enjoy. Rated 5 out of 5 by InSearchOfFun from One of the best games ever! It was challenging with a good store line. Some of the games were difficult with poor directions, but it forced you to work through the challenge without being too difficult. The graphics and games were the best. Great job! Rated 5 out of 5 by smuckers820 from Added to My Favorites! This has become one of my favorite games. I loved everything about it. For this one, I have to give 2 thumbs up to the critics of this game because without you guys, I probably wouldn't have purchased it. This game was a Bonus Deal that was suggested after purchasing another game. I'm quite leery of those games, unless I've already played them. Because of your great reviews, I took a chance. And I am SO GLAD I did! I really enjoyed it from beginning to end! The visuals were sharp and beautiful, as I like them. The challenge of the HOS & mini games were just perfect for me. I really enjoyed the mini games in this one because it was a little different compared to the other games. The game itself already had its own storyline. But the minigames went into further details about how the co-star of the game came to be the person he was. 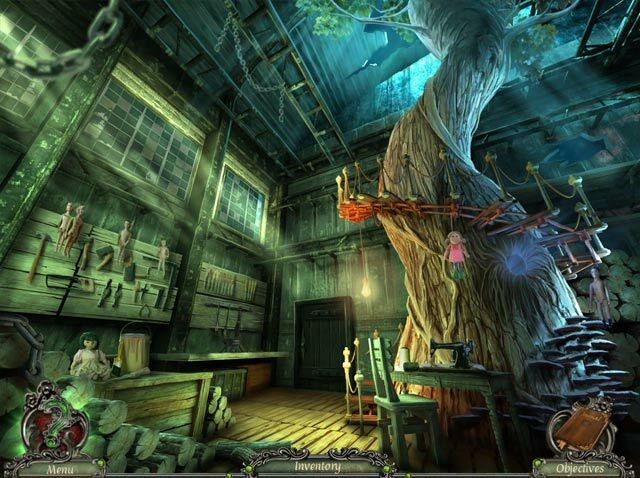 It was like a mini story within a story enhanced by a hidden object scene. Totally awesome. The storyline itself was cohesive and made perfect sense. Very easy to follow. The only thing I could possibly complain about was that it didn't have an interactive map, (which would have been helpful at certain times). But everything else was so great, I really didn't mind it at all. This was a great buy. You CANNOT go wrong purchasing this game. Go get it & enjoy it! Rated 5 out of 5 by shibas1 from Nice long game that is not a Collectors. I liked this game. great level of play and was not only 30 minutes play. More like these would be great. Rated 5 out of 5 by crisgori from Pefect Show, perfect game This game in my opinion is absolutely outstanding. Rated 5 out of 5 by drayfan from Awesome game! I have about 60 hog and adventure games and this is one of the most fun and yet challenging games I have ever played. I can't wait to see more from this developer. Rated 5 out of 5 by denizorge from It has been while since I enjoyed a game this much. Great graphics, cool story. I want more! Rated 5 out of 5 by neilskinut from fun game to spend the day with Good game. Not hard at all. Have to look good at the HOS but not that hard to fine the items. Nice music and the art work is good. The puzzles are not hard either. Some could have better directions. Hint button if needed is ok. Fun game. Rated 5 out of 5 by jenna2345 from My favorite This was my favorite game from Big Fish! The level of difficulty was just right. I puzzled more over the puzzle directions than the actual puzzle but eventually got them. Thanks! Looking forward to more games from this company! Rated 5 out of 5 by cricket4561 from Unsurpassed Quality and Game Play This is absolutely one of the best games I've played yet. The graphics, the tasks, the puzzles...everything about it was outstanding. Took a long time to play too. Worth buying. Rated 5 out of 5 by pamela75 from great game!! can't wait to play the next game by "mad heads" this one had everything..puzzles were very different..very unusual HO game.LOVED IT !! Rated 5 out of 5 by gammo95 from One of the Best I rate this game right up there with MCF games. It was just tough enough to enjoy. . .I didn't have to refer the walk through at all. Very glad I bought this one. Rated 5 out of 5 by Rosalind23 from Fun to play / very entertaining This game is definitely worth buying. I enjoyed playing. Good puzzles. Easy to get around. Lots to do without being annoying. Definitely recommend this game. Rated 5 out of 5 by bootypoot from Rite of Passage It was fun but my arrow was a little uncontrollable. Rated 5 out of 5 by the3rdparty from It IS a Perfect Show This game is really charming. At times it is very child-like and I get a kick out of this. Brings back very old memories! I love the graphics and that is initially what attracted me most during the trial. The mini-games are fun and not just 'challenging' which sometimes means to me impossible - because they are too much work and all I want to do is have fun and relax when I play games. As well the mini-games are varied and unique - not just the same old ones untangling wires, etc. Very creative. It is one of those games that just keeps on giving more and more as you go along deeper and deeper into it. I am really glad I bought it and I am sure I will play it many times. Rated 5 out of 5 by stevoln from Long description of an excellent hog game As every hidden object game it has to have a story. Without a story there is no point to just simply search around without a result. 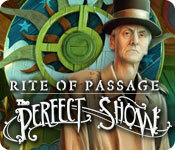 Rite of Passage it has a captivating story line accompanied by an excellent and unique technique type in order to inform the player about his in-game purpose. Despite the vivid coloring and the high graphic quality of scenery and movies, the processing time is low, scenery switching smoothness and waiting time is satisfyingly good, the game reaction is fast but in the same time very soft. Thumps up for the great detective story and an extra point for having audio story telling sequences. And not least those "act tales" are innovatory idea which combine the origin of the whole kidnapping story spiced with fun puzzle game. The game runs smoothly. The puzzle games are various difficulties, some of them seems difficult but they are not that hard, but some of them looks simple but they require some thinking process. 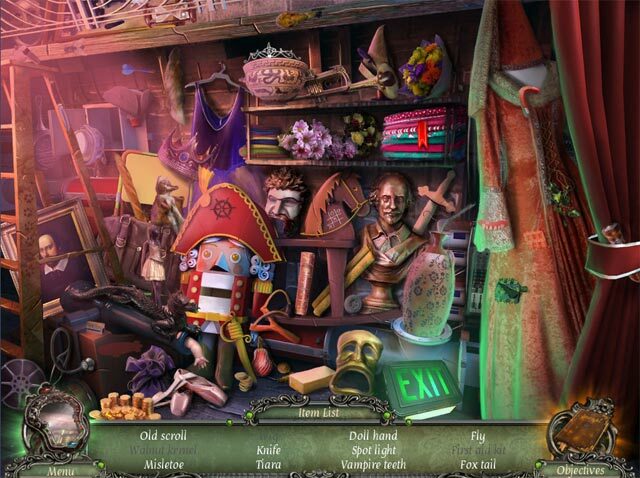 The hidden object scenes has an ascending difficulties grades starting with few object placed per scenes to lots of them per scene. 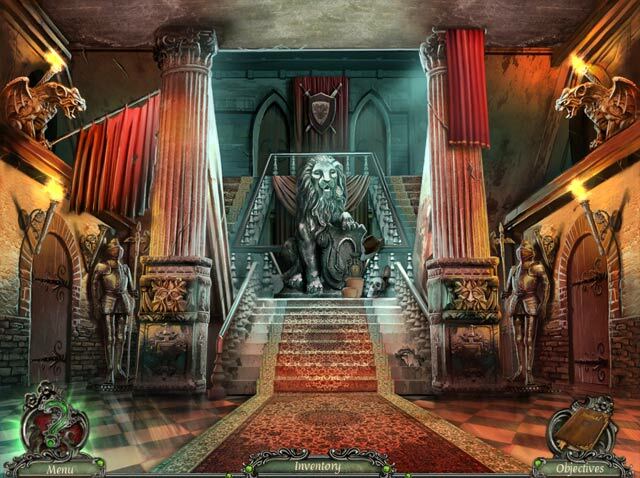 Although those puzzle games and the hidden object scenes are enjoying, relaxing and fun to do. I personally had some great time. Every game has its own personality. One of them are good, but one of them are great, and excellent like rite of passage. Rated 5 out of 5 by pinkcricket10 from My Favorite Ever! I've played a ton of these games! They just keep getting better, but this is my favorite so far. It has "life-like" characters that interact like 13 Skulls (one of my favorites) and beautiful, whimsical drawings like Drawn (one of my other favorites). The adventure is very logical, unlike the "fierce dog" one I just played that was beautiful but illogical. I had to use an owl hint every five minutes. I always play on advanced and thought I was pretty good until that dog game. Anyway, buy this one!!!! I stopped playing just long enough to right the review. I can't wait to get back to the game. The show is about to start!!!! Rated 5 out of 5 by blkribbs from Really fun game Really fun game. Story was good. Not too difficult just a nice challenge. Rated 5 out of 5 by zorabelle from Excellent Game I just finished this game and I have to say this is on my top ten list now. This game excels some other game by means of doing the same thing a bit differently.The voice overs are perfectly done as well as the cut scenes.The mini-games are do-able without stress and there is a skip button if you do get stuck and want to pass.Some are quite different than the usual mini-games I am used to seeing andt is always nice when the Devs go the extra mile for us die-hard gamers.I like that the HO scenes are interactive.That always gives the game a bonus quality especially if the scenes are well-drawn...The graphics in the HO scenes are very good ,could have been a bit clearer but sill very nice.I just got so spoiled by other games.I really had fun playing this in the stress free atmosphere this game provides. Rated 5 out of 5 by Zeto from ONE OF THE BEST Seriously...this game is so intriguing...so different...so creative. It is worth every cent you spend! I loved it and I bore easily. Rated 5 out of 5 by usfreedom from fantastic game I've only played the trial version and it's going on my wish list!! The storyline is gripping and there are some different puzzles to solve. Rated 5 out of 5 by Vision55 from Rite of Passage: The Perfect Show This game was enjoyable from the beginning to the end of the demo! I purchased for my collection. I HIGH RECOMMEND BUYING THIS GAME!! Rated 5 out of 5 by grannieshirl from Great variety of content! This really had some different parts to the game, making it very interest and fun to play! I really enjoyed it. Rated 5 out of 5 by andreacole70 from "Perfect" It has been awhile! I had so much fun playing this game. The HOs were interactive, the puzzles were fun, the story line was entertaining, and the visuals spot on and not too dark. I love it when I have to hold onto an object for a bit before fully understanding what I need to do with it. The hint charged quickly, which helped when I was at a loss as to where to go. No problems with the game at all. Thank you for another wonderfully fun game. Rated 5 out of 5 by rosekaufmann from A Perfect Show and a Perfect Game Based on entire game. I almost didn’t buy this game. Some reviews seemed to indicate that the game was so short that it could be almost completed during the demo. I don’t know what they were reviewing. Thankfully, I liked the demo so much that I decided I would buy it if it was on sale, no matter how short. Fact is: it is not that short. I played for more than 5 hours (I like to stop and smell the lilacs). Game was put together very well and has many different interesting locations, with each chapter concentrating on a limited number of locations, until near the end. Read the journal (which also lists your tasks); otherwise, the story won’t make complete sense. Adult’s VOs were good and the music was appropriate to the storyline and scenes. With a little thought (and a helpful hint system if needed), you should be able to complete the game without using the walkthrough. Hints recharge quickly. Graphics: colorful, crisp and gorgeous. HOS: clear and nicely sized. Puzzles: very wide variety of puzzles with no repetition—some were unique or with a twist. A few could not be skipped. Favorite puzzle: the mechanized puppet theater where you place the objects but with a twist and which is spread over the last 6 chapters (shown 2 or 3 scenes at a time). It’s like watching acts of a actual play. Really cool! There is a bubbly musical sound when you pick up or find items during the play, which I liked. Ending: Without giving it away, you had to do additional preparations when you thought you reached the end. I could have done without the villian’s laughter.